I can’t believe how jealous I am of Tony Hawk. He is three months younger than me. He was the world champion of skateboarding for 12 years in a row. He’s sold a billion dollars worth of video games. But that’s not why I am jealous of him. Every single day since he was 11 years old, he’s done what he loves to do — skateboarding. You shouldn’t be jealous of someone else’s success. But I wish I had had a life like that. I can’t help it. Success and competence compound. I wish I had started compounding some skill at age 11. But… I’m still young. So I began my research. I read two autobiographies. I watched a movie and 2 documentaries. I asked everyone I knew what they thought of Tony. And I watched about 200 videos of skateboarding. When he started there was an entire generation of teachers who came before him who were able to teach him his first tricks. There’s an important reason that the world champion marathon runner in the 1890s would barely make the time to qualify for the Boston Marathon now. Because training technique gets better. So you can either spend years figuring out the better training techniques on your own, or you can find the teachers who can show you in a few hours. 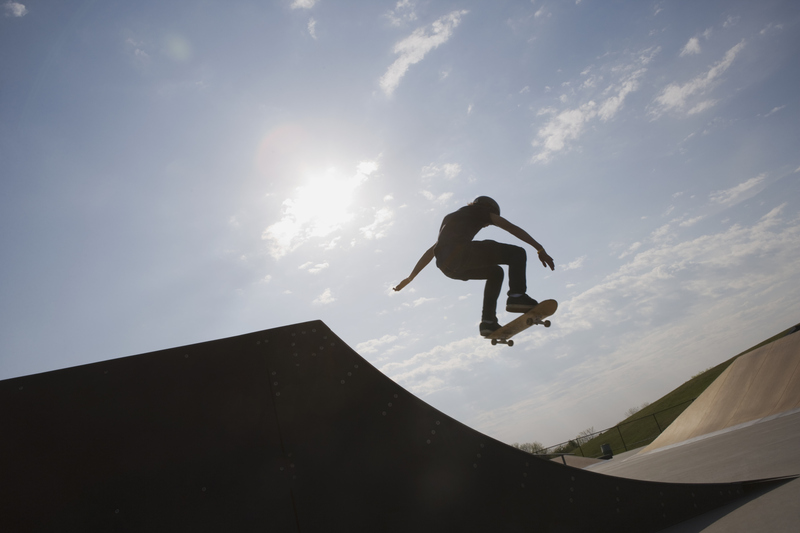 The 11-year-old Tony Hawk watched everyone before him. Learned the bad habits and how to avoid them. Later, when he started in business, he learned from his older family members who were in business before him. Every step of the way he learned from teachers. There’s “vert skating,” “street skating,” other kinds of skating. There’s the sub-culture of skating: the music, the clothes, the rebelliousness of the culture. The entire subculture started because California had a drought. Water was rationed. Swimming pools were emptied. With swimming pools emptied, kids with skateboards illegally jumped from pool to pool, learning the new skating style of using the walls and curves of the pool to do tricks. Eventually, they’d get chased out of a pool. Rebelliousness was embedded into the entire sport. I think it’s this rebelliousness in the DNA of skateboarding, plus the wounds to show for it, that makes it so appealing for kids. And for a 48 year old who after almost 40 years of skateboarding still immerses himself every day. For pleasure, yes, but also because this is how he stays on top of the hundreds of companies that would like to take his place as the brand bearer of the entire game. Thanks to Outliers by Malcolm Gladwell, people mistakenly think if they practice something for 10,000 hours they will become great at it. What better feedback than skateboarding? You skate, you make a mistake, you fall, you bleed. Repeat. If you don’t get better, you break bones and have to stop. If you learn from your mistakes with the help of teachers, you stop bleeding. With business, it’s more difficult. It can take years for a business to fail or succeed. So you don’t get that instant feedback. To get better at something like business, or writing, or anything, you have to break it up into small chunks that teach you quickly how not to fail. Or you can figure out a way to every day break your bones if you fail. “Do you still do that?” I asked him, over ten years since he won his last world championship. He thought about it a few seconds. “Yes,” he said. There was a pool where we were doing the interview. Tony stopped for a few seconds to look into it. I didn’t understand what a “radius” was in this context. “If someone skated here they’d smash right into the wall,” Tony said and then he kept walking. A few months ago he built a new kind of ramp. It was a spiral. I watched a video of it. He kept trying to skateboard on the spiral and falling every time. At one point he showed he bloody knee. Again, he was 47 years old at the time. But he had mattresses protecting his fall on the ramp. And he kept moving the mattresses lower and lower until finally after dozens of tries he removed them all together and was able to skate the whole ramp successfully. In business he fell a few times, but his pickup time was almost as fast as skateboarding. To become the best skateboarder, and then the best in the skateboarding business (he’s sold over a billion dollars worth of video games with his name on it) he had to become the best at falling. He had to be able to look at a situation and know instantly if the “radius” was enough. I don’t know what that means. It’s why I probably fall too hard. “I hope you do,” he said. “You have to learn how to fall,” he said. I think this is true for every area of life. In the late ’80s, early ’90s, skateboarding disappeared. Everyone was worried about being sued. Police started being more aggressive. Insurance rates went up on any property that was being used for skateboarding. Competitions dried up. The older skateboarders switched careers. Styles changed from pool (vertical) skating to street skating. All the old stars were disappearing from the scene. Equipment companies were going out of business. Tony Hawk only wanted to skateboard. He continued to skate every day even though there were no more serious events. He started to master the newer style of street skating even though he was older than all of the other street skaters. He didn’t know what else to do with his life. He started editing videos for other skateboarding companies. By that time, because of this persistence, his skateboarding company was one of the few left in the space. And by that time, because he kept skateboarding every day, he kept improving his skills while other pros dropped off. Tony Hawk’s closest business partners are his older sister and brother. I’m invested in about 30 companies right now. I can always tell which companies will fail and which will succeed simply by the dynamic between the partners. Another friend of mine just fired someone who was spreading rumors within his company. You always have to cut the cancer out first and then ask questions later. This is the most important thing in relationships, in business, in trying to become competent in an area you love – ONLY surround yourself with good people. Success is a byproduct of the quality of the people you have in your life. Why do so many athletes make a ton of money in their careers and then go broke? Tony turned pro at age 14. He made $0.85 on his second check as a pro. By the time he was 17 he was making over $100,000 a year and bought a house. (Cue to: me being jealous again). But a few years later, there was no more money in being a pro. He reinvented into video editing skate videos, then sponsorships, then he went from being an individual with an agent who hooked up his sponsorships, to starting his own company to license his name and sell merchandise. Then, with various gaming company partners, he became the largest producer of skateboarding video games, selling over a billion dollars worth of video games. Every day, just like he had to find new tricks in skateboarding to stay the best, he had to find the new tricks in business to stay on top in every area of the sub-culture. He started youtube channels, he promoted other skaters, he funded other skateboarding companies, and he kept his finger on the pulse of the culture. All along the way he took the skills he learned becoming the best in the world at one thing (skateboarding) to apply those skills to become the best in the world at business. The one motto in my own business is “Message over money.” If anything is off-message, then in the long run it will provide less value, less money, and the idea will be less sustainable as a business. One time Tony Hawk visited a company that was licensing his name. He saw “Tony Hawk toilet paper” on the shelf. He instantly bought out the contract, losing money in the process. Ever since he has stayed completely on message. Which is why he keeps involved in every aspect of skating. If it doesn’t fit the culture, he doesn’t do it. When he helped Activision make the first skateboarding video game, he spent a year playing around with every control until it felt exactly how it should feel to a pro skateboarder. “We wanted it to be perfect,” he said. It sold 7 million copies the first year. The same year he landed the famous “900” (2 and a half rotations in the air) trick at the X Games, making him a household name in the sport the same year he was a household name in gaming. No matter his love for the business, his love and appreciation for the sport showed more, even as he gets older and continues his reinvention. He started a foundation. He’s built over 500 public skateboarding parks. When we were waiting for the event to start, he took out his phone to show me a video. He was describing the skating at the skatepark down the street from where we were that he mentioned he had skated at earlier that day. He showed me a video he took of a kid at that park who was flying up the ramp and into the air. We watched it for awhile.